Briar Rose founded in 1988, in Swansea Massachusetts USA. 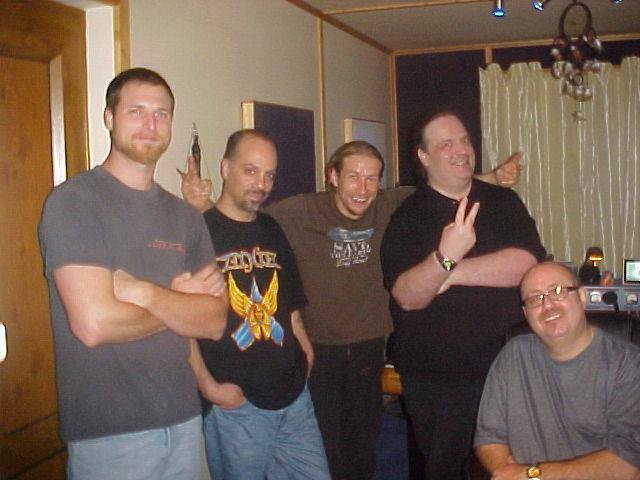 I hadn’t caught up with the guys since they flew over to record their album ‘Roses Are Rare Violence Is True’ back in 2010, with legendary producer Chris Tsangarides at his studio ‘The Ecology Rooms’ in Kent, Chris unfortunately passed away early 2018. The band was due to record their next album with Chris before his untimely passing. We catch up with frontman Randy Blake to see whats been going on with the band. Just before New Year’s I spoke with CT. Six days into 2018 Chris Tsangarides was gone. I had just spoken with him, how could that be? ?… The world lost an amazingly talented and incredibly wonderful man on that day. We lost our producer, our guiding hand. We had no back up plan. Who would have thought…. The question we now faced as far as the album goes would simply be… “Now what do we do??..”. I and the rest of BRIAR ROSE, Jay Vanderpool, Joe McDonald, Jeff Tundis and Chris Landoch, took some time to think about that question. Initial recording had begun. Now what? ?… We met back up at the start or around the start of February and I was asked what we were going to do. There was a great deal of reminiscing and after a while the question returned. I had an answer. We would continue what we started because CT believed in what we were putting together as he’d heard a few demos I had sent him. I asked the guys if they felt confident in me taking over the Producer’s role on the album. Being fair, I have never Produced an album in any of the bands I have been a part of. I’ve done some minor mixing and remastering some of the old material the band has recorded but that was ages ago. I had just remastered the 1988 demo and worked on some tracks for the “Historious Mythos” compilation. But that is not Producing an entire album. They felt confident in me, so I will give it my best shot. Thank You guys, I hope I get this right. Jeff continued to record us all through the year whenever we all could arrange it and outside of my first writer’s block ever, I continued to work on lyrics. No Homecoming Show last year as we continued to work on the album. That is what we have been doing for the entirety of 2018. Which I think in a strange way was a good thing. Since this version of the band got together, we have been rushed into learning how each other works as musicians. Strengths and weaknesses, ideas and concepts, how we work together. We have discovered who we are as a band and what we can do. Now we are getting close to finishing the album we started in 2017. I think we are feeling pretty good about what we’ve accomplished. We were thrown in to chaos by the passing of a great man and friend. We emerge a better band. The very first song we ever started to assemble was called “Armchair Castro”. It was initially started way before 2016 and we even played the music at one of the Homecoming shows when the song had no lyrics at all. Remember that?? Well, we are not 100% sure of exactly when the “Enchiridion” album will be fully finished but it will be. We had a lot to learn in a production aspect and as a band, just what we are capable of doing. I’m hearing some pretty awesome results and it looks like the first song to be ready will be “Armchair Castro”. The very first song this version of BRIAR ROSE ever worked on. It will be an advance single. I’ll let you know when it is ready but to say the least, it’s unusual but still very much us. I know we will all add to the overall production but the finality of “Enchiridion”’s production lies with me. To the band, our friends, our fans and everybody who truly supports and stands by us here and around the world, I promise you I will do my very best with the album. 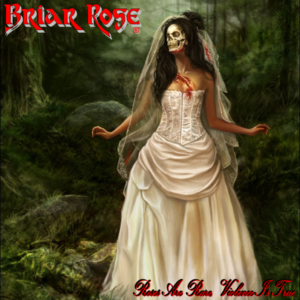 Only two people have ever produced a BRIAR ROSE album. Joe Moody in our starting years and Chris Tsangarides for the last two albums. That people is some massively huge shoes to attempt to fill. I will take what I have learned from them and apply it to “Enchiridion”.